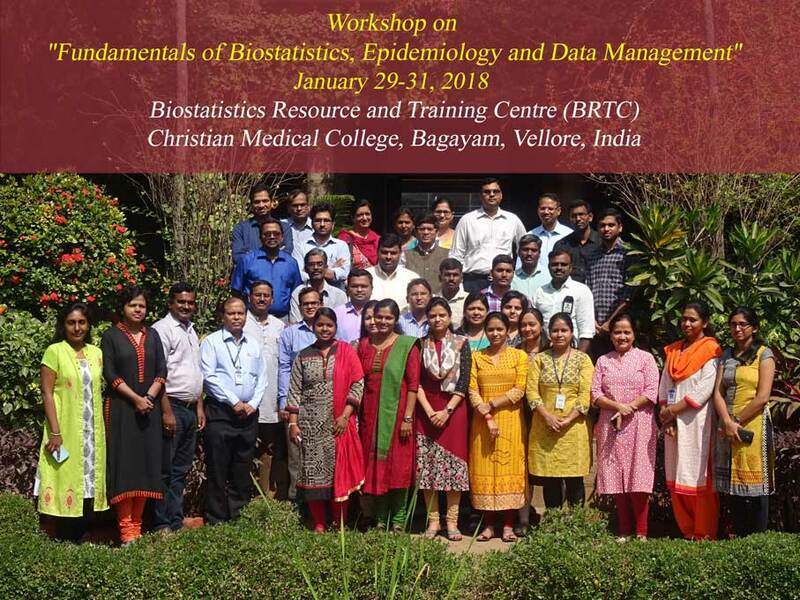 Workshop on "Fundamentals of Biostatistics, Epidemiology and Data Management"
To provide comprehensive training to medical college faculty and IRB members in fundamentals of Biostatistics, Epidemiology and Data Management. Data analysis using SPSS software. Sample size calculation using n-master software. Data Management using Epi Data software. Managing references using Zotero software. Course Binder will have the materials that are used in the lectures. The power point presentations, tutorials, practical exercises and practical dataset. This will also include resource materials (references and text materials etc). The last date for registration is 20th January 2018. The selection of participants will be finalized by PATH after reviewing the applications and selected participants will be intimated on 22nd January 2018.